What to see and do? Inverness, the Isle of Skye, Isle of Raasay and Lochalsh make incredible holiday destinations! 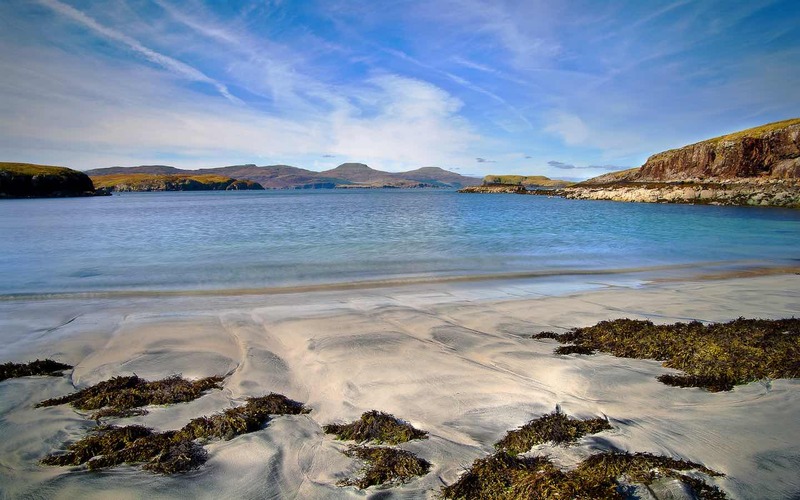 With a diverse array of landscapes mixed together with historical sites and excellent activities, Skye, Raasay, Lochalsh and Inverness have something for everyone. “What you can see and do” is a short guide to activities, local events and information in the different areas. Car hire is recommended to explore the area fully and it is always advisable to check Traffic Scotland before leaving. Traffic Scotland provides up to date traffic information including road closures and road works. Whilst public transport is plentiful in Inverness and for connections between principal towns, it is limited in Lochalsh, Skye and Raasay. In these areas local tour companies operate day tours taking in the main sights and private hire companies provide a range of transport services from Inverness Airport transfers to day excursions. Traveline Scotland is an excellent website to check your routes for local and intercity bus, train and ferry timetables enabling you to plan your journeys ahead of time. Live traditional music and ceilidhs happen throughout the year in village halls, bars and hotels all over the area. Music nights are advertised with signs outside the premises, posters on village notice boards and listings within local newspapers. 25th January: Burn’s Night, celebrating the birth of Robert Burns. 31st October: Samhain, better known as Halloween, a Celtic festival which marks the Feast of the Dead. 5th November: Guy Fawkes Night, bonfires and fireworks will light up the sky! 30th November: St Andrew’s Day, celebrating our Patron Saint. 31st December: Hogmanay, celebrating the end of the year in style! Inverness, commonly known as the “Capital of the Highlands”, is a charming city on the banks of the river Ness. With an international airport, train and bus station, Inverness makes a great place to start exploring the islands and highlands of Scotland. There are excellent facilities in Inverness; great shopping, cinemas, restaurants and bars making it a perfect place to spend a few days exploring the local area. See if you can spot Nessie from the shores of Loch Ness, discover Urqhuart Castle or explore the many forest and waterfall walks in Glen Affric. Culloden Battlefield, the site of the last battle faught on British soil, is a few miles away and has a great interpretation centre. Clava Cairns are nearby and are thought to be the inspiration for the place where Claire goes back in time in TV’s “Outlander”. Whilst the Moray Firth offers dolphin boat trips. In mid July each year, Inverness Highland Games are held at Bught Park. In 2019 it will be on Saturday 20th July. A wide variety of events take place throughout the day for professionals and the general public to compete in, including Tossing the Caber, the Hammer and the 252lb Inverness Stonemason’s Stone Challenge. Kyle of Lochalsh is the main town in the area having a doctor’s surgery, chemist, banks, post office, supermarket and the local swimming pool complete with sauna, steam room and hot tub. Local grocery stores are found in Shiel Bridge, Inverinate, Plockton and Balmacara. Whilst Shiel Bridge, Plockton, Erbusaig and Kyle of Lochalsh have a choice of restaurants for dining out in the evenings. Drumbuie and Plockton offer several coastal walks with forest walks in Stromeferry and Balmacara. An abundance of wildlife can be found in the area including pine martins, otters and seals. On the coastal walks you can often find evidence of otters on the shore and if you’re patient you may be lucky and catch a glimpse of an otter playing or a seal swimming by! Activities include wildlife boat trips, hillwalking, cycling, kayaking, fishing, golf and horse riding. Historical sites such as Eilean Donan Castle or the Iron Age brochs by Glenelg are well worth visiting and day trips can also be made to the Isle of Skye, Torridon and the Applecross Peninsula. Attadale hosts the Lochcarron Highland Games each year. In 2019, it’s on Saturday 20th July. Small and friendly, they showcase the best of the highland events including Highland Dancing, the Caber and the annual hill race. Several events are open to everyone on the day though certain events do require pre-event registration. Other local events include the Plockton Regatta, Glen Shiel Gala and for those looking for a physical challenge, there is the Lochalsh Dirty Thiry and Dirty Dozen, a hill running race held in Glenelg. Driving over the Isle of Skye Bridge, which connects Kyle of Lochalsh and Kyleakin, is the quickest and easiest way to arrive on Skye . The Skye Bridge offers great views of the area and can make a good short walk on sunny days. If you are not in a rush, there are two ferries that connect the mainland to the Isle of Skye. The local ferries also make days out in their own right. The Glenelg – Kylerhea ferry is community owned and is open from Easter to October. Seals, otters and sea eagles are frequently spotted and the route takes you over the Mam Rattagan Pass with stunning views of the Five Sisters of Kintail. Calmac operates the other ferry service from Armadale to Mallaig which provides an alternative route to and from Fort William. Packed with sights, the Road to the Isles is a wonderful way to spend a day. From Glenfinnan Viaduct and Monument with views down Loch Shiel to the white sandy beaches of Morar. If you are continuing beyond Skye, Calmac also operates ferries from Uig to Lochmaddy and Tarbet in the Western Isles. These can be used for day trips to the Uists, Harris and Lewis. However if you have a few extra days, spending them here is well worth it! Broadford is the main town in the area and has a small local hospital with an Accident and Emergency Department, Dr MacKinnon Memorial Hospital. There is also a chemist, supermarket with petrol station, bank, post office, cafés, restaurants and an array of craft shops. Sleat has several restaurants and hotels along the road between Broadford and Armadale. Torabhaig Distillery is a new distillery to the island and started to produce whisky in January 2017. A small petrol station which contains the local shop can be found at Armadale along with a few craft shops near the ferry terminal. On the road to Elgol, Torrin has a café and Elgol has a local shop and café as well as crafts shops along the way. Walks are plentiful in the area with otter hides at Kylerhea, sandy beaches at Aird Point and the most incredible views of the Black Cuillins from Elgol. Occasionally sea eagles and golden eagles soar overhead, circling in the thermals on a sunny day. Boat trips, especially from Elgol to Loch Coruisk, make excellent ways to see the remoter parts of Skye. Local events include the Kyleakin Gala , music events and courses held at Sabhal Mor Ostaig, Sleat. During July and August, there is Fèis an Eilein / the Skye Festival being held in different locations throughout the Sleat Peninsula and there is a Swing / Jazz Festival from the end of October. Carbost sits on the shores of Loch Harport and has a local shop, inn and Talisker Distilery. For those interested in some serious climbing, Carbost makes an excellent base with the Black Cuillins a short drive away. Though for those wanting to enjoy less strenuous walks, there are plenty of them too! Talisker Bay, Coire Lagan, Glen Brittle Beach and headland all make excellent excursions into the countryside and are areas where sea eagles and golden eagles are frequently seen. The Fairy Pools are well worth exploring with clear turquoise water cascading over the rocks. The area is great for mountain biking with plenty of forest tracks. Kayaking and fishing can also be enjoyed in the area. For a challenge, the Glamaig Hill Race is usually held in July. Departing from Sconser, the ferry to the Isle of Raasay is ideal for a day trips. Leave the car behind and hire bikes on the island to explore at a more leisurely pace. The Tattie Bogal is the largest scarecrow trail in world! It has grown to become island-wide so whilst driving around the island in the summer, keep your eyes peeled! You never know where the next one is lurking! Centred around Dunvegan, North West Skye is a popular part of the island. With historical sites such as Dunvegan Castle and Gardens and Dun Beag at Struan, an Iron Age broch, it has a lot to offer, even on the days when the sun is hiding. Neist Point, the Coral Beach and even the tops of MacLeods Tables make great walks. Some a little more strenuous than others! Waternish is a relaxing peninsula with several art galleries and cafes, perfect for a quiet day. Trumpan Church is well worth exploring and makes the starting point for a day walk around the headland. Dunvegan, the main town in the area, has a petrol station, local grocery shops, bakery, cafes, hotels and restaurants. Stein, Waternish, has an art gallery, seafood restaurant and a local inn. Edinbane has the Edinbane Pottery as well a couple of pubs / inns serving food as well as drinks. Glendale has a local café, restaurant and small post office selling essential items. Whilst the renown Three Chimneys in Colbost, is perfect for special occasions. In the area there are scuba diving operators, boat trips, mountain biking, kayaking, fishing and horse riding. Dunvegan Agricultural Show, usually held towards the end of July / beginning of August, makes a great day out. Specialising in contemporary fine art and creative landscape photography, the aim of Skyescape is to feature images of the Isle of Skye and the Scottish Highlands and Islands. Skyescape Gallery is located on the scenic Harlosh peninsula loop road near Dunvegan on the Isle of Skye. It is with great thanks that Islands & Highlands Cottages are using a selection of Russell’s photographs as background to several pages of our website. OldByreSkye specialises in original photographic images of Skye and the Highlands, as well as a selection from the Arctic and Antarctic regions. In the cafe you can enjoy a light lunch of perhaps slowly roasted hot meat on a home-baked roll, freshly prepared soup, or some Scottish cheeses. Indulge yourself with one of our home-made cakes and WiFi is available too. Portree is the main town on the Isle of Skye and has two supermarkets, a large supermarket on Dunvegan Road with a smaller store in the town centre. Numerous eateries catering to all budgets and local craft shops adorn the streets in the town centre. Essentials such as petrol stations, banks, doctor’s surgery and small hospital can be found here too. The leisure centre with swimming pool and local library is at Portree High School. The harbour is very picturesque with its brightly painted houses and makes for an excellent backdrop. Wander around The Lump where the Isle of Skye Highland Games take place as well as small music festivals. With views over the bays and towards the Cuillin, it is a great place to relax whilst in town. There are also lovely walks along the coastline at Scorrybreac taking you to the Wishing Well and offering excellent views over the bay and towards the Isle of Raasay. Other local events include the Skye Agricultural Show, usually held towards the beginning of the August, The Skye Live Festival at The Lump, Skye Sportif Cycle Road Races and The Isle of Skye Half Marathon. If you are interested in fly fishing on the Storr Lochs, permits and boat hire can be arranged at Inside Out, the outdoor shop in Portree. A.C.E. Target Sports offers visitors to the Isle of Skye an opportunity to have loads of fun! From learning how to throw axes to clay shooting, it is a great experience for family and friends to enjoy! They offer archery, axe throwing, rifle shooting, clay target shooting and paintball. Wild and dramatic landscapes dominate the Trotternish Ridge with several of its unusual rock formations offering great walks. The Storr and The Quiraing are just two areas that are well worth exploring. Waterfalls plummet to the sea at Kilt Rock, fossils and dinosaur footprints can be found at Staffin Bay whilst whales, dolphins and porpoises can be spotted at Rubha Hunnish, the most northernly point. And for a touch of magic, visit the Faerie Glen complete with faerie castle. Uig is the largest town and has a petrol station, grocery store, café and hotels. You’ll also find the Isle of Skye Brewery here too! Calmac operate ferries from Uig to both Tarbert on Harris and Loch Maddy on North Uist for those looking to continue west. These can make good day trips but if you can spend longer, it is well worth it! There are also boat trips from Uig to St Kilda, a UNESCO World Heritage Site and offers a glimpse into an extant way of life. Also on the other side of the peninsula, Staffin has a petrol station, grocery store and café. There are several places of interest; Museum of Island Life, Staffin Museum and Macurdie’s Exhibition for rainy days. Local events include the Uig Gala and Road Race. Whitewave offers a wide range of outdoor activities from kayaking along the scenic coastline to mountainboarding! See the Isle of Skye from a different perspective! Taking the ferry to the Isle of Raasay at Sconser makes staying on the island that little bit extra special! A little touch of adventure awaits on the side of the Sound of Raasay! The ferry terminal on Raasay is a 15 min walk from the main village of Inverarish which has a small grocery store. Please note that there are no supermarkets or petrol stations on the island so stock up before you arrive! The Isle of Raasay Distillery is also within walking distance of the ferry terminal. Opened in September 2017, it’s an exciting new venture for the island and will be a new whisky to add to the collection! Raasay House offers a wide range of activities on the island including bike hire for those looking to leave the car behind. They also have a restaurant, café and bar. Numerous woodland walks start from Inverarish. Discover an Iron Age broch, follow the Burma Road and climb to the top of Dun Caan, the flat topped peak on Raasay. Brochel Castle and Calum’s Road are also waiting to be explored. Wheelwrights lets some of the nicest cottages in the Lake District. Because we know the Lakes so well, Wheelwrights will ensure you have the benefit of our knowledge, our experience and our enthusiasm for the area. Tailored to suit your holiday requirements, Wheelwrights offer advice on locations, attractions, walks, eateries and pubs. Centrally placed for getting to every corner of the National Park, all Wheelwrights cottages make excellent bases. And because we are one of the smaller cottage letting companies, we are able to give you a personal service tailored to meet your expectations of a holiday in the Lake District.